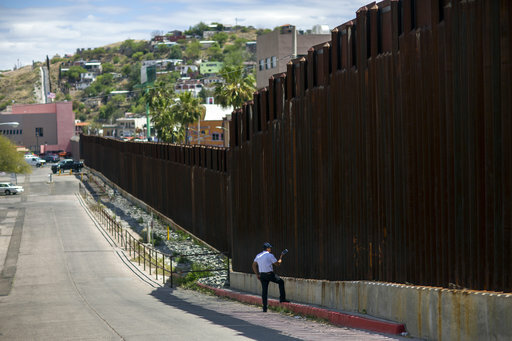 WASHINGTON (AP) — Homeland Security Secretary John Kelly says the sharp decline in people crossing the southern border illegally won’t continue unless his agency gets the resources needed to secure the border. Kelly says a wall in the right places, will do that job. He told a Senate panel that the wall won’t be from “sea to shining sea,” but in places where border agents say it would be most effective. In his written testimony, Kelly says that fewer than 12,500 people were caught crossing the Mexican border illegally in March. It was the lowest monthly tally of arrests at the border in at least 17 years. The decline in arrests is a sign that fewer people are trying to cross the border illegally.